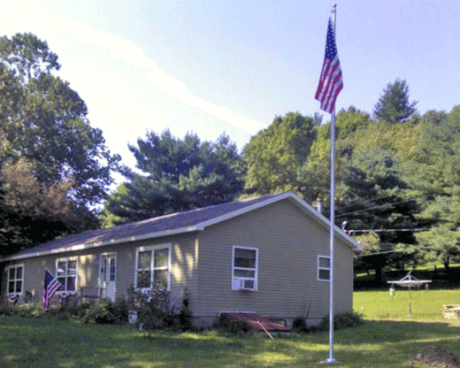 An in-ground flagpole can be a status symbol, an advertisement or a way to honor the serviceman or woman in your life. For most, it's a symbol of their national pride. In addition to the emotional gratification, a flagpole can be an investment. They can increase the value of your property by adding to your curb appeal. 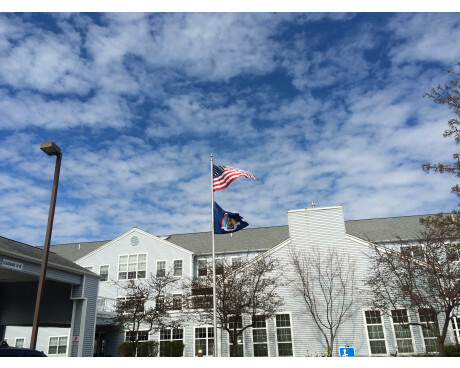 Gettysburg Flag Works offers a variety of flagpoles for your commercial or residential display. There are a number of factors to consider when choosing an in-ground flagpole, as there are a variety of outdoor in-ground flagpoles available. The short video below will give you some helpful insight into choosing the flagpole that's right for you. As mentioned in the video above, flagpoles come in a variety of sizes and materials to meet your budget and installation needs. Here is a review of the most common styles of flagpoles. 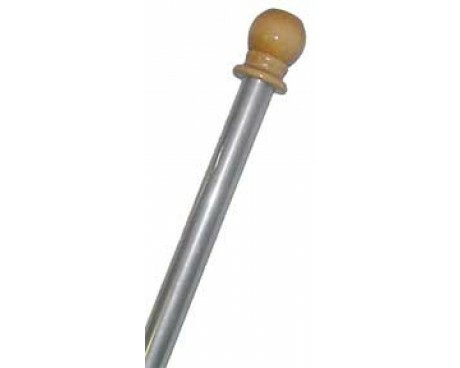 Single-Piece In-Ground Flagpoles: This is a single piece tapered shaft flagpole for your home. It's a permanent installation and it typically used to fly one or two flags in your yard. This is the higher end flag pole and will give you the most beautiful display. 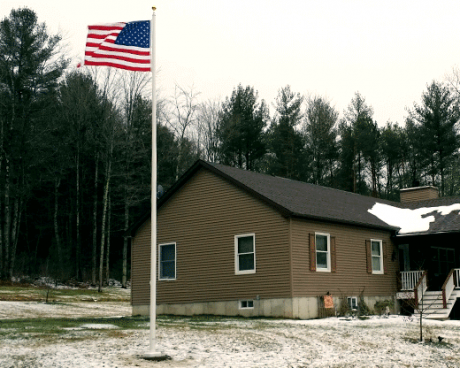 In-ground residential flagpoles are typically 20 to 40 feet tall with an external halyard. Commercial flagpoles are usually larger, up to and even bigger than 100', and can be either internal or external halyard style. In addition to the exposed height, these flag poles have 10% of the length cemented into the ground. 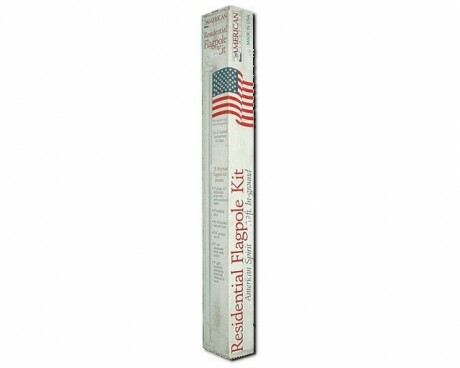 Our single-piece flagpoles include all mounting hardware, your first American flag and installation instructions. You will need tools and concrete for the installation process. 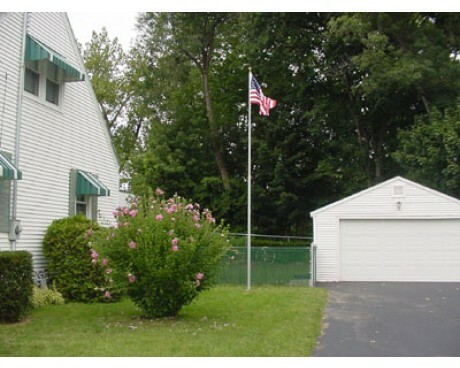 Aluminum Flagpoles: Aluminum flagpoles have a traditional silver look and can be ordered with any color powder coating. 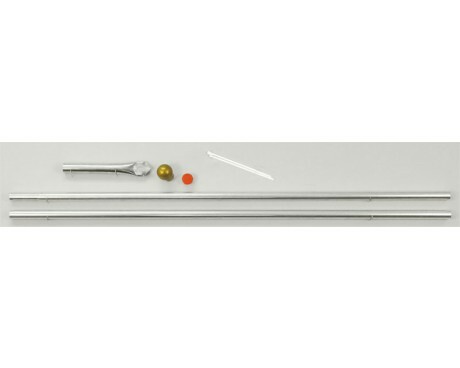 Our most common aluminum flag pole is anodized to keep the aluminum from oxidizing. These do not need to be painted or treated. Fiberglass Flagpoles: Fiberglass is a beautiful alternative that doesn't corrode in salt water areas and doesn't conduct electricity. 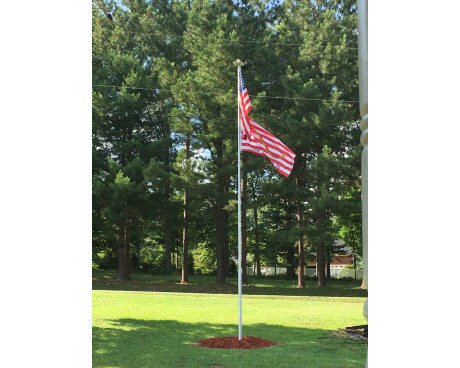 Fiberglass flag poles come in white or can be made to match any color. 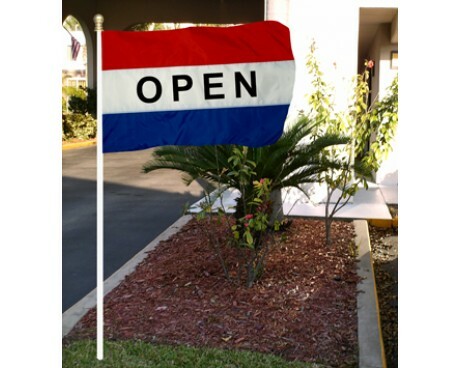 Sectional flagpoles are common for a budget friendly option or temporary display. These are not as durable as the single-piece version but parts can be replaced and the flagpole can be removed during bad weather. 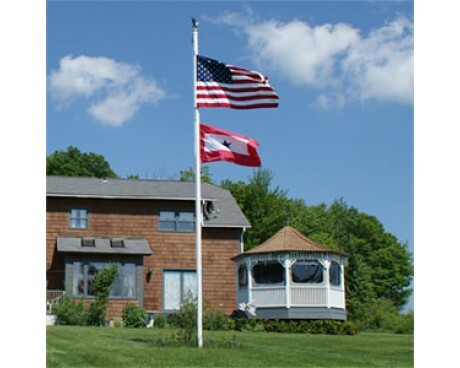 Telescoping flagpoles are also an inexpensive option compared to the single-piece style of flag pole. These are very common in mobile home parks, camps and even as a tailgating accessory. 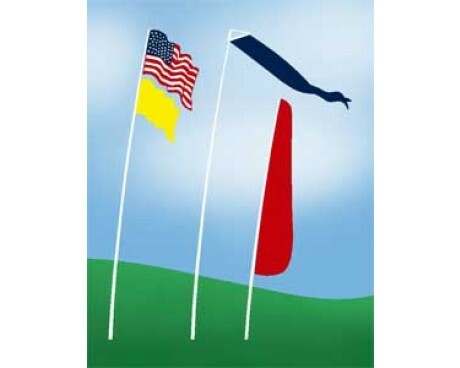 Advertising Flag Poles: Fiberglass and aluminum flagpoles to display your feather flag, open flag or real estate flag are available in a variety of heights and diameters. For a rigid flagpole, choose aluminum. 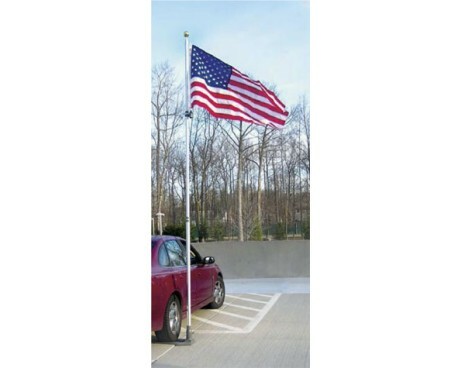 For a flexible display, check out our fiberglass telescoping flagpole. Shopping For an In-Ground Flagpole? We Can Help! At Gettysburg Flag Works, we're passionate about all things flag-related. 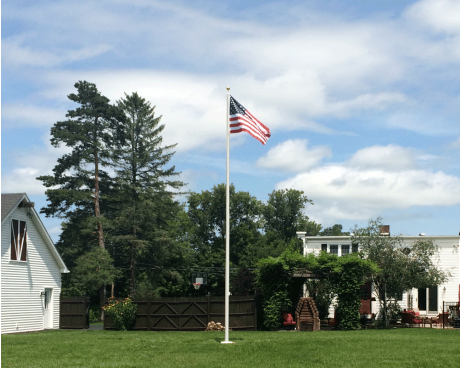 If you're searching for the perfect flagpole, we're the experts to turn to! 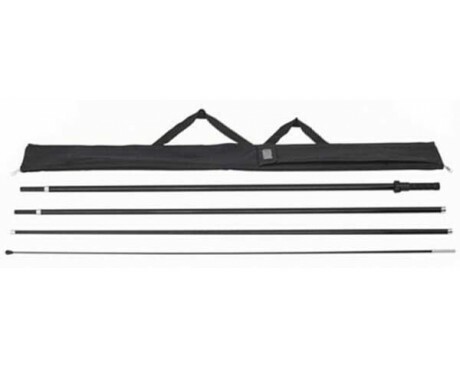 Browsed our wide variety of flagpoles and still can't find exactly what you're looking for? 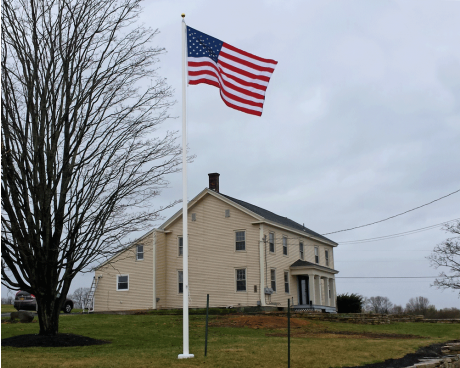 Not quite sure which in-ground flagpole option is right for you?Call us at 1-888-697-3524 or contact us online and we'd be happy to point you in the right direction! Gettysburg Flag Works is proud to help you with any of these items and more. Can't find what you're looking for? Give us a call at 1-888-697-3524 or contact us online and we'd be happy to assist you!